The wisest thing to do when prepping up for any event is to start as early as possible. That will buy you a lot of time and time brings a lot of benefits with itself. Use this time to browse through different stores and see if something strikes you. 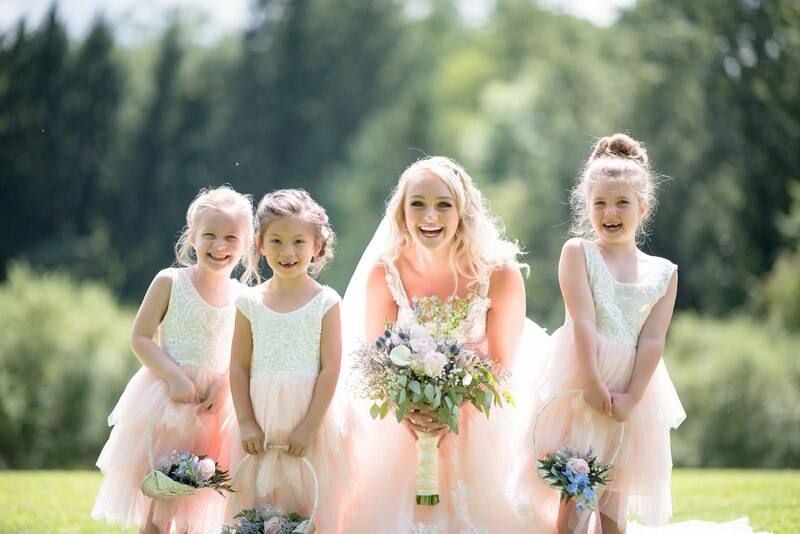 A year-long time window also allows you to benefit from seasonal promotions and winter sales, which is an excellent way to find cheap flower girl dresses. On the rare chance that you can't find anything for your daughter, you can always get one made for her, although that is more expensive by far. If there will be more than one flower girls, coordinate with the parents of the other girls and buy matching dresses together when you see these sales. 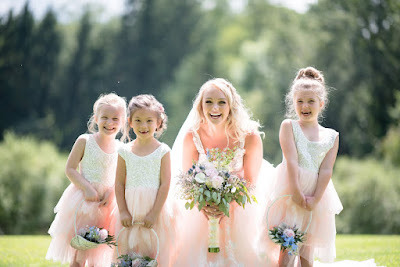 The style and color of the dress is the most prominent feature of a flower girl as she walks the bride down the aisle. At this point, ask the bride for her input and factor in those in your dress shopping spree. Your girls dress can either follow the core palette of the actual bridal dress, the bridesmaid’s dresses or the general wedding theme. Whatever you pick should be in line with the overall theme. The right style of the dress would be anything that keeps your daughter comfortable and does not stress her out. Frocks or ankle length maxi dresses are a good choice since kids are not mindful of how they walk or move and shorter lengths are much easier to manage. Just like the style, pick a fabric that is lightweight and not itchy. Do consider the weather conditions especially if the wedding is scheduled to take place at another destination or a beach. Make sure that the dress does not make your child feel too hot or too cold. Enjoy your special day, and I hope you have lots of fond memories and beautiful pictures afterwards! Although you may think that you need to spend lots of money getting your daughter the perfect updo for this special occasion, you can style your daughter's hair beautifully all by yourself, even without a lot of special training or experience.